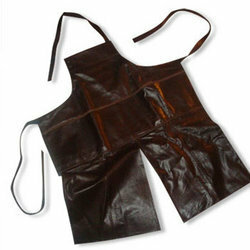 Pioneers in the industry, we offer leather aprons and cotton aprons from India. 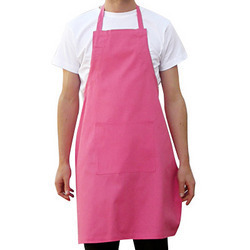 Our consumers can avail from us high quality leather aprons that are offered in a variety of designs, sizes and specifications to meet the varied needs of our clients. Fabricated using the best quality raw leather, these are capable of providing high level of protection against multiple hazards in different workplaces. We are instrumental in supplying premium quality cotton aprons for their use in different industrial processes. Offered in a wide variety of sizes and colour combinations, these are widely acknowledged for their excellent finishing and are widely used in chemical laboratories, research labs, factories and various other areas.